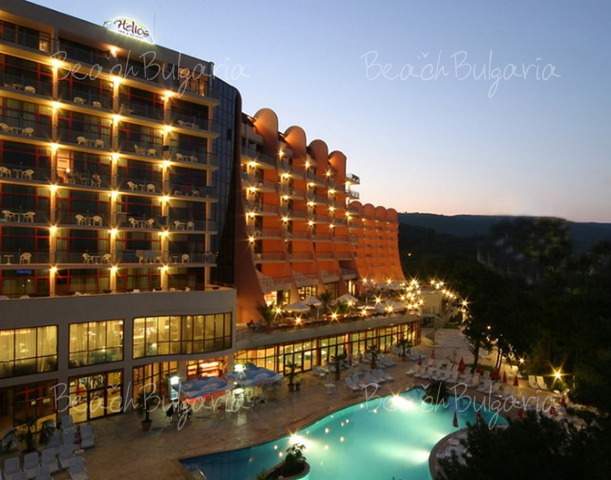 Helios Spa Hotel is located 200 m from the beach, amid a beautiful park in Golden Sands resort. 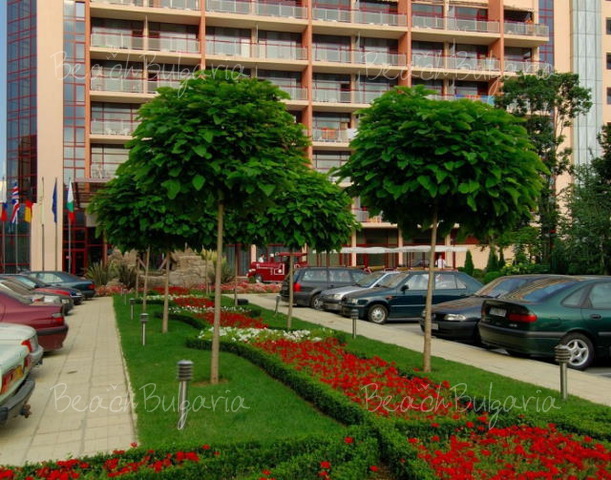 Aquapolis Aquapark is in close proximity to the hotel. Varna Airport is situated 30 km away. The hotel offers standard rooms for 2-3 persons, two-bedroom suites for 6 adults and 2 children. All rooms offer a seating area and a balcony, air-conditioning, mini-bar, satellite TV. The hotel features 3 luxurious restaurants. 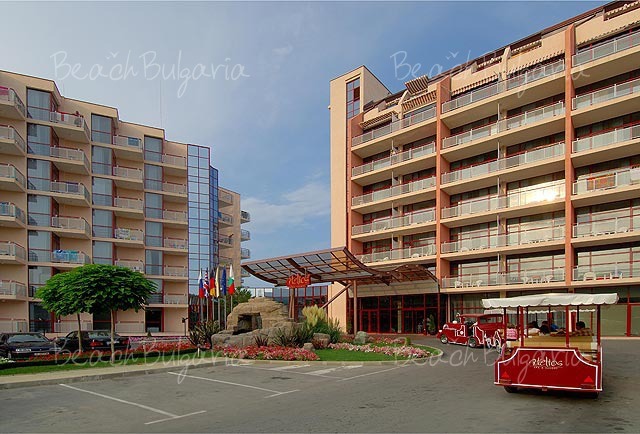 The Demeter Restaurant serves buffets with Bulgarian and international dishes. The more formal Dionysus Restaurant serves dishes on a la carte gourmet menu. The Poseidon Seafood Restaurant and Bar that is located in the Japanese garden serve seafood and Mediterranean dishes. 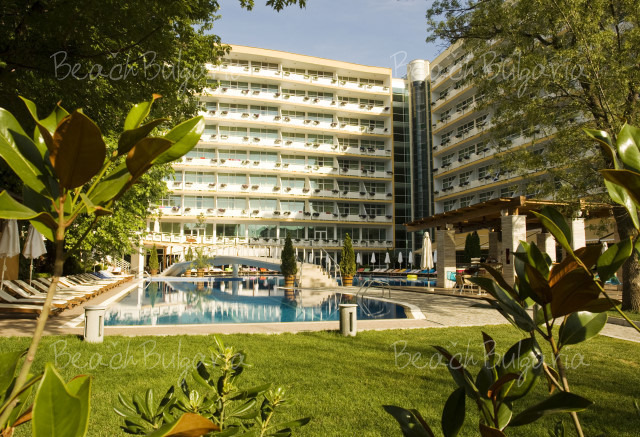 The hotel boasts with the largest spa and health center in Golden Sands resort. It is located on an area of 2, 300 sq.m., providin 35 luxuriously equipped treatment rooms for body and facial massages, therapies and treatments. The spa centre includes a heated indoor swimming pool, two large outdoor swimming pools with sunbeds and parasols, saunas, steam baths, hot tub, etc. - Animation, basketball, volleyball, football, fitness, table tennis. Safe; Mini Club; Imported drinks. 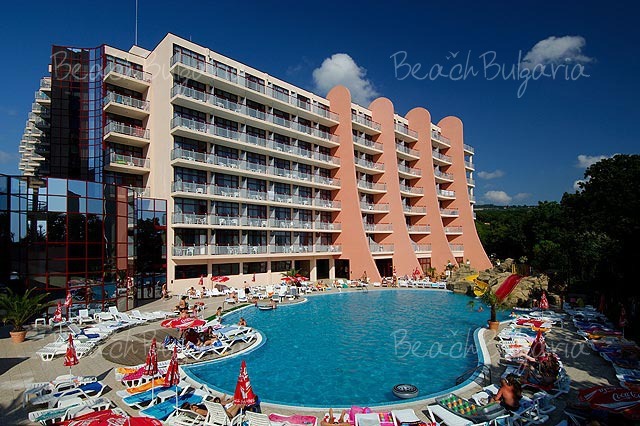 The prices are in EUR, per night, per room/apartment, all inclusive and swimming pool, sunbeds, parasole and fitness included. * Cancellations can be made free of charge providing details of this are received at least 7 days prior to check-in time on the day of arrival and 10 days during 01 July - 31 August - cancellations made after this period will incur a fee equivalent to the cost of 3 night's accommodation. Hello! 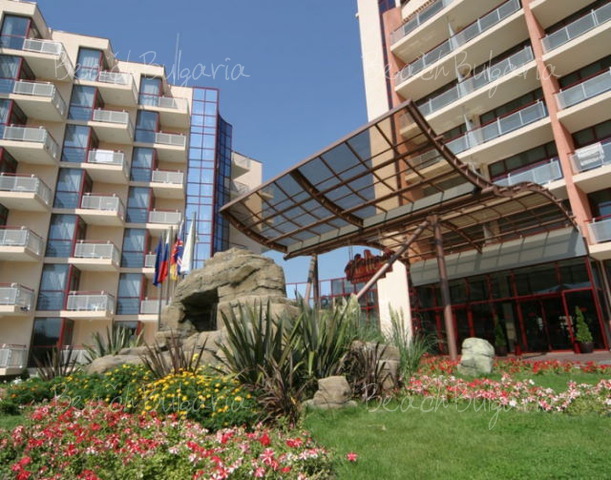 I want to know how much i pay for a child 4 yrs old at the end of april in a double room ( 2 adults and 1 child).And if we can have all inclusiv.Please send me the rates for 3 nights(26.04.2008-29.04.2008) Best regardes! Please, post a comment on Helios Spa Hotel. All inclusiveBest deals Grenada Hotel Sunny Beach Get free overnights - 7=6, 10=8, 14=10!